A couple of days ago my son Josiah had a life-changing dream in which he came face to face with God. Yes, you heard me right, GOD. His experiences in this dream were so vivid and “real” that he quickly composed a notebook full of questions to “take back” with him the next night as he slept. Josiah’s dream opened with the Biblical events founds in Revelation 20:11-15. So why am I sharing this? Well, simply put…in light of what today 9/23/15 represents, I can’t NOT share it with you. My message is a call to awaken your conscience. That’s right, as busy as we all are, we are walking around in a deep spiritual slumber! 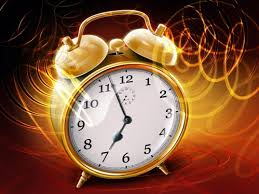 God has issued his warning call and just a few hours stand between each of us and judgment. Now, before you start building up your defense about how you don’t need spirituality in your life and how you certainly don’t want any judgment coming your way, hear me out because you don’t have a choice in the matter. If nothing else, stick this post out and you’ll get a little history lesson for free. So let’s start at the beginning. Today is the “Day of Atonement.” If you aren’t familiar with the term, it’s the holiest day of the Jewish year. Now, before you ‘x’ out of my post because I used the word “Jewish,” keep in mind that all things that involve God and Jesus are closely tied to all things Jewish. Jesus was a Jew born into a Jewish family in the Jewish village of Bethlehem which is located in Israel. He grew up and lived his entire life on earth following the Jewish culture. He read Jewish scriptures, kept the Jewish Sabbath, celebrated the Jewish feasts, and followed Jewish customs. So you’ll find that much of true “Christianity” appears to be quite “Jewish” in nature (and it’s all in the Bible so you can check it out for yourself) and this particular Jewish observance affects YOU tremendously. To understand just how this somber day affects you, a non-Jew, you have to know a little bit of Bible history. After Adam and Eve disobeyed God by eating from the fruit of the Tree of the Knowledge of Good and Evil, they were driven out of the Garden of Eden and out of God’s holy presence. Their sin brought about a curse on all of mankind forevermore and their once immortal bodies immediately began to perish. God’s word tells us that the wages of sin is death meaning that a price has to be paid for sin and it has to be paid in blood. Not only would all of mankind now face physical death, but also spiritual death- forever separated from God. God in His infinite wisdom was not caught off guard by His creation’s decision to go against His instructions. Because of His great love for mankind and desire to fellowship with His creation, He set up a temporary system utilizing the blood of innocent substitutionary animal sacrifices to “cover” human sins. The life blood of the sacrificial animal was required in exchange for the life blood of the sinner. The innocent animal paid the price for the guilty individual’s sins and the individual came back into right standing with God until he or she sinned again. This practice was not meant to continue on forever but was a “pattern” intended to point the people to the One who would willingly give his life to not just “cover” but entirely take away their sins once and for all- Jesus. Animal sacrifices were made daily, weekly, and monthly as the people attempted to be reconciled to God. One day a year on The Day of Atonement, special sacrifices were made in addition to the regular daily sacrifices in order to purge defilement from the people. It was on this day alone that the High Priest was allowed to enter into the very presence of God. He of course could not go before the Lord empty-handed. Bringing blood sacrifices to cover his own sins as well as those of the people of Israel, the High Priest confessed the sins of the people to the Lord and “transferred” the sins to the substitutionary animal sacrifices by leaning heavily against the animals as he took their lives. As the High Priest preformed these duties, the people would fast, eagerly anticipating whether or not the Lord would accept their sacrifices and forgive them. According to Jewish tradition, the annual Day of Atonement (also known as Yom Kippur) was essentially a last appeal to “get right with God and others.” It was a time to demonstrate repentance, or turning away from wrong ways and towards God, and it was a time to make amends with others. 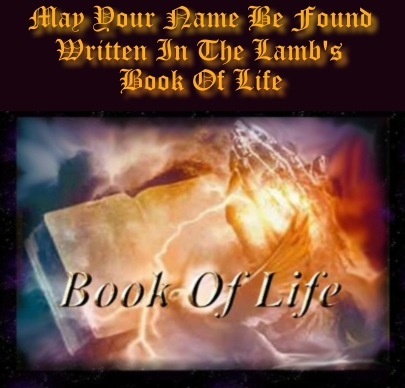 The people believed that their name would either be written in The Book of Life (if they were right with God) or The Book of Death (if they were wicked.) On the Day of Atonement, God would examine their souls and pass judgment on each individual, sealing their fate for the next year. If the individual repented and made amends to any he had harmed, he would be given another year to live. If he did not, then a decree could be given that he would die in the coming year. God is loving, but he is a JUST judge and TODAY is judgment day. If your defense is not solely based on your sins being forgiven and taken away by the blood of Jesus Christ, then your name is not in the Book of Life. Let this message serve as a “wakeup call” to awaken your conscience before your fate is forever sealed.